Turkopole had the most liked content! He is active and good player. The app would be better as the rules seem slipshod. But let's give him a chance. Also, the age is not problem for me because once we were 12. So this is a VOUCH from me. I hope you join the team. Good luck friend. Thanks for your comments but let me explain why I was not active; I had to go to Ankara (our capital) for some official paperwork. I came home last night and got some rest. Midnight I played a very small amount on deathmatch server. I played on deathmatch server because there were no players on NRP server. For now I am not an admin so I do not need to be active. But If you let me be admin, I will be active for my duties. Thanks. 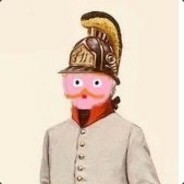 Name Turkopole Age 18 Steam https://steamcommunity.com/id/turkopole/ GUID 833558 Hours in-game 1134 Previous Experience Well, I have never been an admin. Vouches Well, I do not know his steam profile but I guess Tax would vouch for me. And I think, other admins would vouch for me because they might have seen me on server. Reason(s) I have been playing this game since 2014. I have not violated the rules except a few times. I would serve good to our community so I would like to join up. Roleplays Battle RP: Soldiers have to follow their OWN officer. ( If They do not have officer, They have to follow another friendly line) When a admin or a officer gives order, Soldiers can kill surrender via firing line. If the surrender has weapons ,Soldiers can kill him/her without firing line. And of course no rambo. Linebattle RP: It is similar to Battle RP. Maybe the only difference between LB RP and Battle Rp is that Soldiers have to make a line to fire. When your officer moves you have to stop reloading and follow him. And of course surrenders can only be killed via firing line. Cav vs Cav RP: Both teams pick up cav and wait at spawn when the admins give orders they charge each other. Cav vs Inf RP: Team 1 (Russia) picks line milita, forms a square at spawn and wait the enemy. Team 2 picks cav waits at spawn when the admin gives order they charge to square. Assassination RP: Team 1 picks partizani. Team 1's goal is to kill enemy general. A player of the Team 2 picks general and hides, Other team 2 players have to defend him/her from partizanis. If the general goes partizanis' base he/she escapes and Team 2 wins. But If he/she is killed, team 1 wins. Naval RP: Both Teams jump up their ships and try to kill each others. One who troll his/her teammates, captain can be slain. There is more but I'm too lazy to write them lol. Etiquette and Server Rules No ramboing -rambo- one who is not following his/her officer. No spamming -spammer- one who spams. No teamhitting -teamhitter- one who is hitting a teammate for a purpose. No trolling -troll- one who destroys friendly defences, waits in front of arty. No surrender killing -surrender killer- one who kills surrender without firing line and admin's or officer's order. surrenders can only be killed via firing line. Only English in chat. Hate speeches are allowed ( I do not like this but it's allowed :c ) First five's penalty is to be slain or banned. There is "options" next to "edit". NRP Username: Turkopole Character Name: Turkopole Faction: Grande République GUID: 833558 Role: Soldier (musician etc. It does not matter,I just want to have fun.) Why do you want a character: I think the campaign will be funny and ,as a part of regular players, I want to join up.